Billionaire Stanley Druckenmiller and Federal Reserve chair runner-up Kevin Warsh have invested in a cryptocurrency project called Basis, along with many other investors, the company said Wednesday. said it led the $ 133 million private placement, which was the private equity firm’s first purchase of cryptocurrency tokens. Other investors included Alphabet’s GV venture capital arm and Andreessen Horowitz. Formerly known as Basecoin, Basis is developing a cryptocurrency whose supply is controlled by an algorithm rather than a central bank. In contrast, bitcoin and most major cryptocurrencies have a fixed supply. Changes in demand can then send prices in wild swings. Basis’ developers say such volatility has prevented mainstream adoption of cryptocurrencies and they want to create a digital coin whose availability is tied to a measure such as the U.S. dollar or consumer price index. A representative for Andreessen Horowitz confirmed its investment in the private placement. A representative for Druckenmiller declined to comment further. A spokesperson for Warsh did not immediately respond to a CNBC request for comment. Bloomberg News was first to report the investment by Warsh and Druckenmiller. 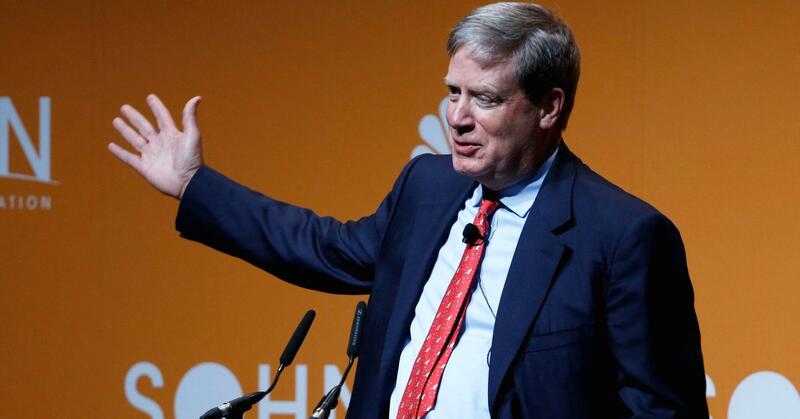 Both Druckenmiller and Warsh have criticized bitcoin for its dramatic price fluctuations. In December, Druckenmiller told CNBC that bitcoin cannot be a medium of exchange “because you can’t do transactions, particularly retail transactions, with this kind of volatility.” He said he didn’t own any of the cryptocurrency. Bitcoin has lost more than half its value since December. But it remains 575 percent higher over the past 12 months, near $ 8,100, as of Wednesday afternoon. Warsh also said in the article the Fed might consider launching its own digital currency. He was one of two likely contenders to lead the central bank after Janet Yellen’s term as chair ended earlier this year.